This post is dedicated to my friend Isaac Hindin-Miller – fashion writer and relationship enthusiast behind Issac Likes for the endless support and encouragement regarding my blog. Isaac gives some pretty dope relationship advice on http://www.isaaclikes.com which has inspired me to give you a little counsel of my own. Last year, I went through the most miserable break-up (yep, that escalated rather quickly) and I, like the multitudes of other heartbroken individuals constantly used sugar to solace my emotions. My simple advice is: Don’t. Instead, try and put all your pain, sorrow and negative energy into creating something beneficial. 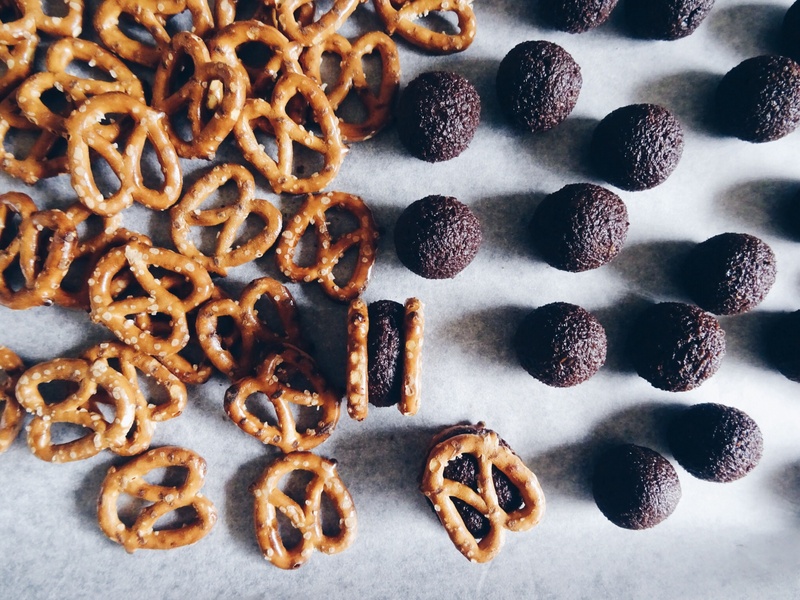 If you’re anything like me (an emotional eater), by keeping plenty of healthy treats handy, you’re bound to save yourself from unnecessary trouble. 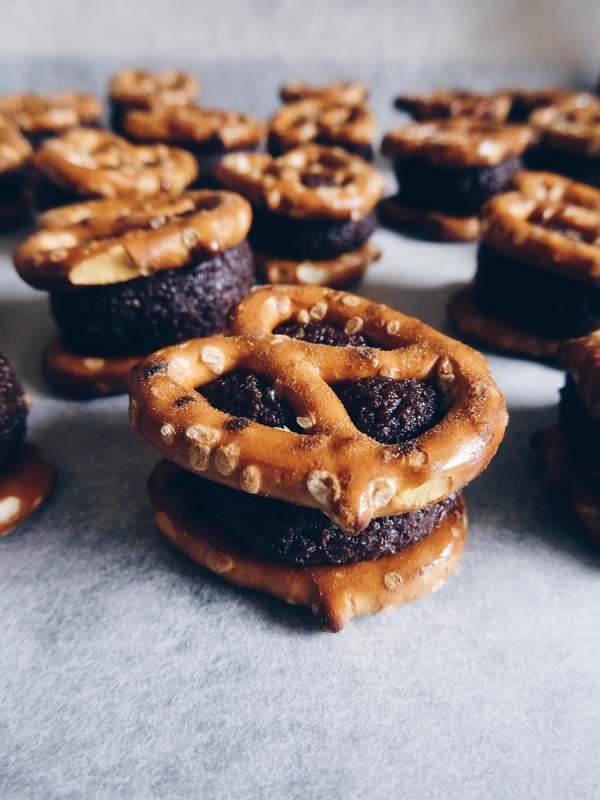 Not only are these delicious pretzel sandwiches the perfect combination of sweet and salty, they’re also free from gluten, dairy and refined sugar. In other words; 99% guilt-free. In a food processor mix the almond meal and dates into a flour-like consistency. Add the orange zest, orange juice and cacao powder and mix again until a dough-like mixture is formed. Using your hands, form small balls then sandwich between two pretzels. Store in a covered container in the fridge in between snacking. 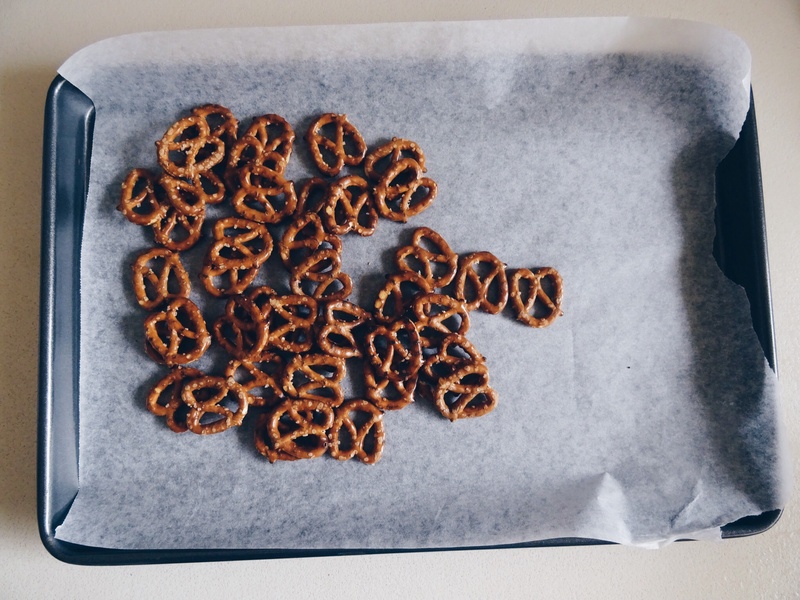 Fun fact: The average American consumes about 1.5 pounds, thats 0.7 kg of pretzels per year!